Below are listed the do’s and don’ts to be followed before, during and after application of a matte lipstick. If worn right, a matte lipstick looks exceptionally stylish and beautiful. Not all occasions call for a glossy lip color and hence it is important to understand how a matte lipstick should be worn. Matte lipsticks are notoriously famous for their drying effect on the skin; therefore, we would like to give you some makeup techniques that can be used to equip yourself to tackle this. Below are listed the do’s and don’ts to be followed before, during and after application of a matte lipstick. You can take your pick in terms of choosing a color but bold colors look and feel the best in matte as they give just the right amount of brightness required for the look. 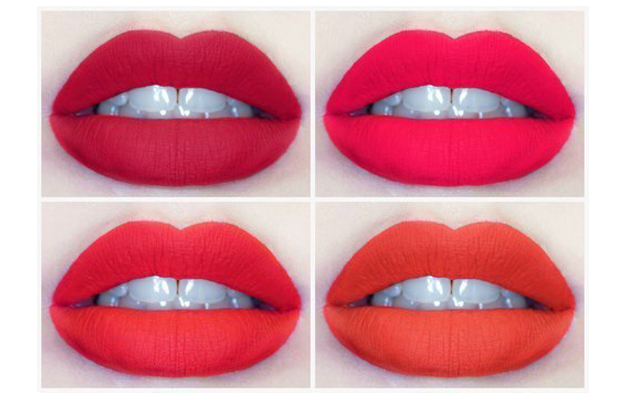 Because of the long staying power of matte lipsticks, using bold colors becomes all the more safe! Zuri Recommends: MAC Matte Lipstick, NYX Matte Lipstick, NARS Pure Matte Lipstick, Lakme 9 to 5 Lipstick and Maybelline Superstay 14hr Lipstick. Before Application – The texture of a matte lipstick is such that it highlights all flaws of your lips. Here, the key is to prepare your lips before application of a matte lipstick by exfoliating them. Use either a toothbrush or make a lip scrub. 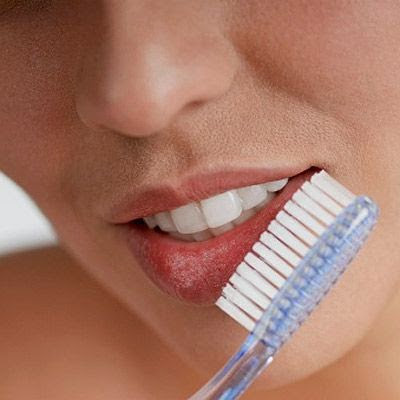 Wet a toothbrush in glycerin or olive oil and gently buff away dry and peeling skin. You can also make a DIY lip scrub at home by mixing sugar (brown/white) in oil (olive/almond/coconut) and honey. Gently massage the mixture on your lips for 3-4 minutes and rinse. Follow this with a lip balm for smooth and soft baby lips. Before starting to apply a lipstick blot away excess balm. TIP: If your lips are pigmented then you can lightly apply a concealer all over your lips to get an even color from the matte lipstick. Concealing before application will give you the true shade. During Application – It is recommended that you outline your lips using a lip liner before applying a matte lipstick. This will give you a neat result and will also prevent the color from bleeding. Try to pick a shade closest to your lipstick and fill your lips with it, like you are creating a base for your lipstick. Then, for a better finish, fill in lipstick by using a lip brush. After the first coat, blot your lips with a tissue. Place a tissue on your lips and gently press to blot the excess and finish it by running the power brush over the tissue. Now you can apply a second coat of lipstick and blot the excess again. This will ensure that the color stays longer and the lips do not look cakey. As compared to regular lipsticks, matte lipsticks take longer to apply but these steps are surely worth it. After Application – While you are wearing your matte lipstick, your lips tend to feel dry and chapped. During this time you can follow this useful tip of applying a lip balm and blotting the excess with a tissue. This will provide your lips that much needed dose of hydration. To clean your matte lipstick, you can use cream or even a makeup remover. Then, generously apply a creamy formula lip butter or balm to moisturize the lips. We hope that you find the above tips useful as you plan to apply your matte lipstick next time. You will not regret spending the extra time since your lip color will last longer and will look beautiful throughout the day.